Sheffield Road Methodist Church Tea Party. Front row – behind boy with drum is Ernest Albert Batterham. Behind Ernest is Joe Booth (proprietor of Booth and Fisher). 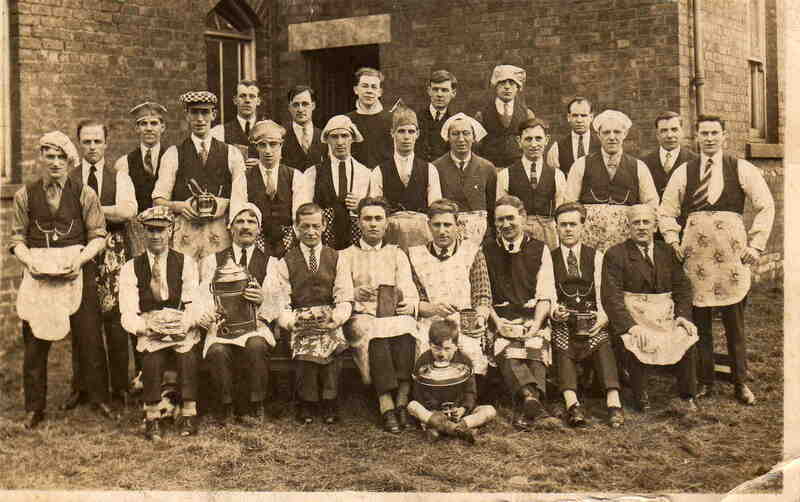 I am trying to track any Batterhams, as I am researching my family history, many members of which are Batterhams. My mother was Hazel Batterham of Meadowhead, born 1935. Her mother was Millicent Emma Batterham nee Parker, born 1908 in Sheffield. Her father was Charles Leslie Batterham, born 1908 in Chesterfield but lived in Sheffield most of his life. I have traced some of the Batterhams, but am looking for more. Can you help?